Recent Kerry National winner Snow Falcon just held on to take the feature at Listowel recently and that may not be the only National that he is aimed at this season. 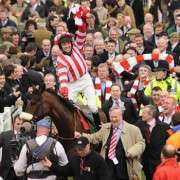 The eight year old’s stamina will have to be taken on trust, but there is a chance that we could see him line up in the Aintree Grand National 2019,next April, a race that would really suit his running style. Trained by Noel Meade, Snow Falcon loves to sit in off a good pace and stalk his way through the field before pouncing towards the end and that is exactly what he would be able to do. 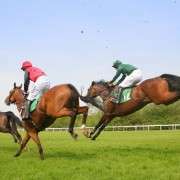 Any horse who would prefer a strong pace will certainly get it in the National as many horses set off too fast and struggle to keep up the pace. That can often set the race up for a closer, and someone who can weave their way through the pack as tiring horses begin to fade. During his win at Listowel, Snow Falcon probably hit the front far earlier than he would have liked and it was no surprise to see him idle towards the end because of that. I don’t think that was his stamina fading, I just think he wanted some company as he had been out in front for too long. 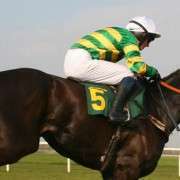 He will need a patient ride in the National, and a pilot who can find gaps to bring him through, but if he gets one, and his stamina holds out then he would have to be regarded as a huge danger. Being an eight year old now, he will be nine by the time we get to the race and that should put him in his prime as far as National Hunt racing goes. If there are question marks over his stamina, if there is one year when he will get the distance it is this year or the next when he is at his physical peak. We saw Snow Falcon run in the Irish Grand National earlier this year in April, and it would have been very interesting to watch how he finished that day, but unfortunately he wasn’t able to finish after unseating his rider around two thirds of the way into the race. He was in contention at that point, and it is impossible to say how close he would have gone, and whether his stamina would have lasted the full trip had he stayed on his feet. The 3m5f trip that day was the longest we have seen him run over, so his stamina is certainly not assured. 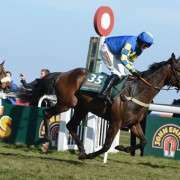 It would be good to see him run over a marathon trip before heading to Aintree, if he goes there, to get a feel for whether he would stay or not. 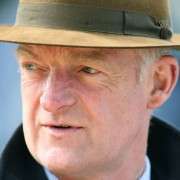 If he does stay then he automatically becomes a horse of huge interest for the Aintree showpiece, and one to keep an eye on this season to see what the plan is with him.